Seven teams of high school students competing to have their entrée selected as food for astronauts aboard the International Space Station will meet in the Culinary Challenge at 11 a.m. CDT April 23 in the Space Food Systems Laboratory at NASA’s Johnson Space Center. The teams will prepare their entrées for taste-testing and evaluation. The winning meal will be prepared and packaged for future flight to the space station. News media who wish to attend should contact William Jeffs at 281-483-5111, or by email at william.p.jeffs@nasa.gov, no later than 4 p.m. April 22 for credentials. The Culinary Challenge is a new addition to the High school students United with NASA to Create Hardware, or HUNCH, program. 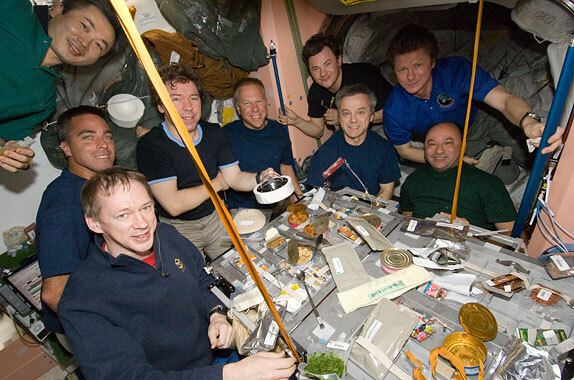 The Culinary Challenge incorporates the arts with science, technology, engineering and mathematics, or STEM, activities, engaging students in learning about food science and processing food to develop a new, tasteful recipe for the space station crew members.